Home Features Feature: 12 Singaporean Watch Brands to look out for! Feature: 12 Singaporean Watch Brands to look out for! This week, I’ll trying something a little different – feature articles! In my maiden feature article, I’ll be rounding up 12 of my favourite Singaporean watch brands. If you didn’t already know, there are multiple homegrown watch brands here on our sunny shores, each trying to make their mark in the watch industry. At current standing, there are over 60 Singaporean microbrands – I’ve shortlisted 12 of my personal favourites, brands that I believe will become highly successful in the upcoming future. I’ve met with most of the owners of the brands listed below, and interacted with watches from ALL of them. I’ve listened to their stories, their highs and lows, and I’ve seen the outcome of their hard work. Yet, most of these brands still fly under the radar, with a majority of Singaporeans probably having never heard of any of them. Hopefully this article changes some of that! Moving forward, I’ll be focusing on highlighting local efforts, both in watches as well as in formalwear. More of these feature articles are in the works, as well as video interviews with local brand owners! As stated in my about page, I hope to be an amplifier for noteworthy Singaporean entrepreneurial efforts in these fields – if we locals don’t support homegrown efforts, who will? With that in mind, the following 12 brands are those that I respect, and believe in. Let’s dive in. Azimuth can probably be regarded as the forefather of the local microbrand scene. Founded in 2003, Azimuth has been producing avant-garde watches (designed here in Singapore) for over 15 years! I love to gamble (don’t learn from me), so this watch caught my eye immediately. 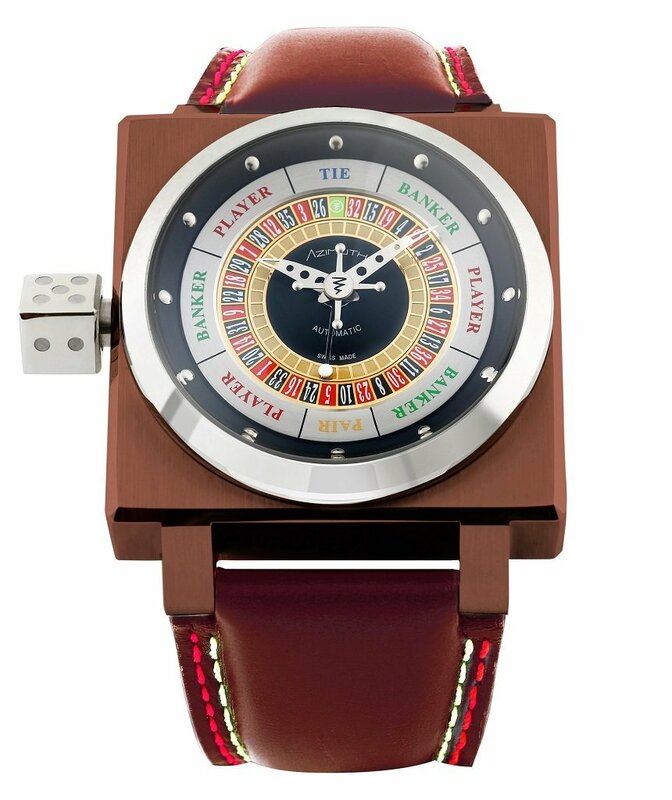 My favourite watch from them: The Azimuth King Casino (pictured above). When the dice-shaped crown is held, the center ball spins – essentially acting like a roulette. Yes, a roulette on the wrist! Why the brand matters: Firstly, I have a lot of respect for Azimuth. As aforementioned, Azimuth is one of the pioneers of Singaporean watchmaking. Without them blazing the way, I doubt that several of the brands listed below would even exist! Secondly, I love that they have such strong design ethos. Their avant-garde designs, from the above King Casino to their Mr Roboto watch, are so unique that you would not mistake their designs for anything but an Azimuth watch. It’s so refreshing seeing such unconventional designs coming out of our typically straight-laced country! Zelos has been nicknamed the “Kickstarter monster” due to how wildly successful their Kickstarter campaigns have been. Their most recent Kickstarter campaign raised over S$300,000 in funding! I think that’s a testament to both the quality of the watches and also the strength of the brand. There’s a raw quality to this bronze skeletal piece that captured my heart. Why this brand matters: Out of all the brands on this list, Zelos is perhaps the most familiar. The reason is simple: in everything they make, the build quality and design are both superb. Their Abyss 2 dive watch is rated an insane 3000M WR; their “dress” pieces in the Avant line boasts interesting design language (The above Avant A-4 for example, utilizes 12 synthetic rubies to serve as hour markers). Zelos is also known for their use of innovative materials: everything from Titantium Damascus to the hull steel of a nuclear submarine! Crazy stuff. Sister brand to Zelos, Ventus is known for offering affordable watches that are inspired by vintage styling. At only $349 USD, I believe the Mori is one of the best divers in the sub-S$500 category. Why this brand matters: Most of their watches are offered in either brass (Mori, Caspian) or carbon fiber (Black Kite), therefore differentiating Ventus from other microbrands that mainly use 316L stainless steel. Furthermore, their watches have this classic, vintage styling that I like. In addition, their watches are also very affordable, with most (except the carbon fiber Black Kite) being available for under S$500. For those who like the bronze look of some of Zelos’ watches, but find the retail prices a little steep, Ventus is a great alternative. Another sister brand of Zelos, Vilhelm specializes in the innovative combination of luxury materials that one tends to find only in high-end watches. The Vilhelm Talos, seen here with a blue dial. Vilhelm recently concluded a successful Kickstarter campaign on the Talos, raising over S$90K! Why this brand matters: I really like Vilhelm’s vision of combining materials commonly found in high-end watches and offering them in an affordable watch. I’m a huge fan of the strong roman styling too – the bronze case on the Talos reminds me of a Spartan’s helmet, while the dial is reminiscent of a Spartan’s shield. I actually did a review of the Talos a while back – you can read the review here! Where to buy: Vilhelm’s web-store. Vilhelm is also a partner of Wahsoshiok – readers enjoy 10% off products on their web-store! Just quote “WAHSOSHIOK” to enjoy the discount. Boldr was the first company to believe in me enough to loan this kid a watch to review, and thus will always have a special place in my heart. It’s no exaggeration to say that without Leon and Boldr, this website probably wouldn’t have existed! There is now a bronze version of the Boldr Odyssey, which looks absolutely amazing! Why this brand matters: The ethos of Boldr is adventure. All of Boldr’s watches are built for the elements – these are tough, well-made watches. Take the Boldr Odyssey for instance. It’s a US$469 dive watch, yet it’s chock-full of features commonly found in divers at much higher price points, such as a helium escape value, a triple lock crown, and a 500M WR rating! As aforementioned, it was also the first watch that I ever reviewed (link to review article here), so I have a soft spot for it. While I liked the Odyssey before, I think that this new bronze version looks superb, and they actually updated the bezel to include functional markings, eliminating one of the few criticisms of the original Odyssey. Always great to see a company that not only listens to feedback, but also implements it swiftly! Where to buy: Boldr’s web-store. Boldr is also a partner of Wahsoshiok – readers enjoy 10% off selected products on their web-store! Just quote “WAHSOSHIOK” to enjoy the discount. Arcturus debut watch was the first watch to blow my mind – till today, it remains the only brand where I persistently spammed the brand owner (sorry Alexander) to review a piece because I loved the design so much! Their maiden Kickstarter campaign raised almost S$100K – evidence of the strength of their design. The Arcturus LC-1 was also the watch that got me into mother-of-pearl dials. Why this brand matters: I really love Arcturus as a brand. Their designs are so painstakingly detailed – as a reviewer, their watches turn me on. Arcturus isn’t afraid to swing for the fences – their designs are bold, striking, and yet somehow classic and timeless at the same time. My review of the LC-1 (link to the review here) remains till date the longest article that I’ve wrote (also the one that I spent the most hours on) because there were just so many noteworthy details on the watch to write about! Arcturus may be a young brand (the debut model launched just last month), but as their name implies, this is a brand whose star is shining bright. Where to buy: Arcturus currently do not have a webstore, so you would have to contact founder Alexander Loh directly (probably on FB) if you would like to pre-order one of his stunning watches. Gruppo Gamma celebrates its 5th birthday this year, and it’s amazing to see how far they have come. Out of all the brands listed here, they probably have the strongest and most loyal following – their Club Gamma owners club numbers over 1.6K members currently, with some collectors having over 40 Gruppo Gamma timepieces! Love the unique aged steel finishing of the Gruppo Gamma Vanguard. Why this brand matters: When Gruppo Gamma started out in 2013 with their debut model, the Genesis, haters slammed the brand as “Panerai rip-offs”. Luckily for us, Gruppo Gamma persevered, innovating and evolving their designs along the way. Each of their designs is a reimagination of how Panerai watches would have turned out had Panerai not stopped providing watches to the Italian military in the 1950s. Through strong customer support and attention to detail in their designs, Gruppo Gamma watches have attracted a sizable following despite having only been around for 5 years. They are also the only Singapore microbrand on this list (and perhaps in the country) to have their own physical boutique! I just did an exclusive review of the Peacemaker Bronze, here. Where to buy: Gruppo Gamma’s web-store and physical boutique. Gruppo Gamma has also offered an exclusive discount to Wah so Shiok readers – simply quote “WAHSOSHIOK” upon checkout to enjoy 50 USD off the Vanguard! Reverie’s debut model, the Sea-Spirit, featured the most innovative use of guilloche that I’ve seen on a microbrand watch till date. It was also promptly sold out very quickly thereafter, with only the black variant currently left! The racing inspired Reverie GT. Why this brand matters: If you like guilloche, you will love Reverie’s watches. A guilloche dial is key to their design language, and all of their watches will utilize guilloche in some form or another. I find their watches thoughtfully designed – for example, the dial of the Reverie GT has depth and contrast in spades. Yet, it manages to look both clean and complex simultaneously! I actually did a review of the Reverie GT some time back, which you can read here. Where to buy: Reverie’s web-store. Reverie is also a partner of Wahsoshiok – readers enjoy $40 USD off products on their web-store! Just quote “WAHSOSHIOK” to enjoy the discount. When I came across Humism’s project on Kickstarter, I was stunned by just how different their watches looked. Why this brand matters: Just take a look at the video above! Yes, other brands have utilized rotating disks before (Zinvo, Perrelet, etc) but none of them has managed to turn that rotation into art. This watch is so strikingly different that I decided a picture of the Dasein wouldn’t do it justice – only a video would do. The monochromatic design of the dial is minimalist, and yet the kinetic art effect is so stunningly complex. I actually did an introductory article on Humism here! Humism’s Kickstarter campaign has already attracted almost 350 backers (that’s a hundred more than Zelos’ most recent campaign), raising over 130K in the process. This is a brand that I can’t wait to see more of. The concept of watches as a canvas for art? Absoultely riveting. Oh, 5% of revenue goes towards charity as well. What’s not to like about Humism? Where to buy: David should be accepting pre-orders on his website! This Singapore owned Chinese brand makes some of the most intricately beautiful dials on the market. The level of detail on their dials is simply a sight to behold. Why this brand matters: Maison Celadon is probably one of the only brands that is proud to proclaim that all their watches are made in China. And yet, they should be. With their exquisite, hand-crafted watches, Maison Celadon is changing the perception that “Made in China” watches are of low quality – one watch at a time. Everything, from their exquisite dials to the Chinese inscriptions on the back of their movements, is a work of art. If you’re a fan of oriental designs, Maison Celadon watches are for you. Coup De Coeur specialises in selling incredibly affordable watches, as well as a wide range of boldly coloured straps. The Coup De Coeur Elan. My favourite watch from them: The Coup De Coeur Elan (pictured above). Why this brand matters: To sum it up in one word – value. I sincerely believe that Coup De Coeur offers some of the best bang-for-buck watches in the microbrand market today. Their watches uses a workhorse Seiko NH35A movement, sapphire crystal, and come with a variety of strap options – you can pick one that suits your personality best! All that can be yours for as low as $250 SGD, sometimes even lower when they run sales! Phenomenal value for money – if you’re someone who wants a “proper” mechanical watch but doesn’t wish to spend too much, Coup De Coeur watches are a perfect starting point. I just did a review of the Coup De Coeur SGC Classic, which you can read here. I also thereafter did a review of the Coup De Coeur Elan, which can be read here! Where to buy: Coup De Coeur’s web-store. Coup De Coeur is also a partner of Wahsoshiok – readers enjoy 10% off products on their web-store! Just quote “WAHSOSHIOK” to enjoy the discount. Aries Gold specialises in offering great bang-for-buck offerings. Their catalog is pretty diverse as well – I think there are over 250 different SKUs available currently! Why this brand matters: Aries Gold is a brand that is often scoffed upon by watch enthusiasts, and I think that’s a shame. Personally, I sincerely believe that Aries Gold offers some of the best value propositions that you can get for ~S$200. Take the Jolter for example – you get a mecha-quartz chronograph with a skeletonised dial, a big date aperture, bracelet, sapphire crystal and even lume for just S$218 (after promo code below)! The design language is great as well, and with a wide catalog, there’s bound to be something available for everyone. Whether you’re a seasoned watch collector or someone looking to get his first watch, Aries Gold provides a lot for very little. Where to buy: Aries Gold’s web-store. Aries Gold is also a partner of Wahsoshiok – readers enjoy 10% off all watch purchases! Just quote “WAHSOSHIOK” to enjoy the discount. To round up the list, I’m going back to the company that got me into watches – Schaffen. I interned there in a marketing capacity for a few months, and learned a lot about watches and watchmaking in the process. They introduced me to Hodinkee’s Talking Watches series – and from then on I was hooked. If not for them, I may still be wearing Daniel Wellington and Fossil watches. I believe that Schaffen is the only Singaporean watch company to offer customizable watches. 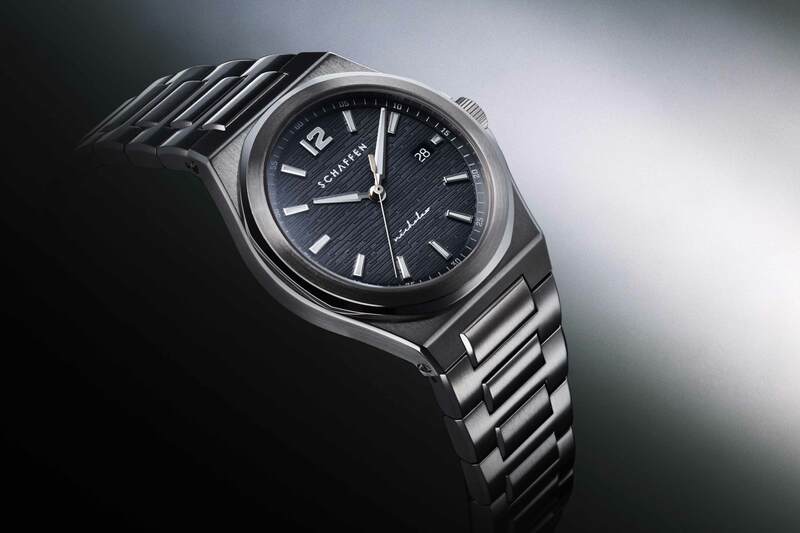 Why this brand matters: Schaffen offers customers the unique ability to customize their own watches. You get to choose the color of the dials, the hands, the strap, etc. Furthermore, you can also personalize the dial with text of your choice, as well as the movement rotor! Watches are highly personal items to begin with, so to have the opportunity to personalise your own watch is amazing. 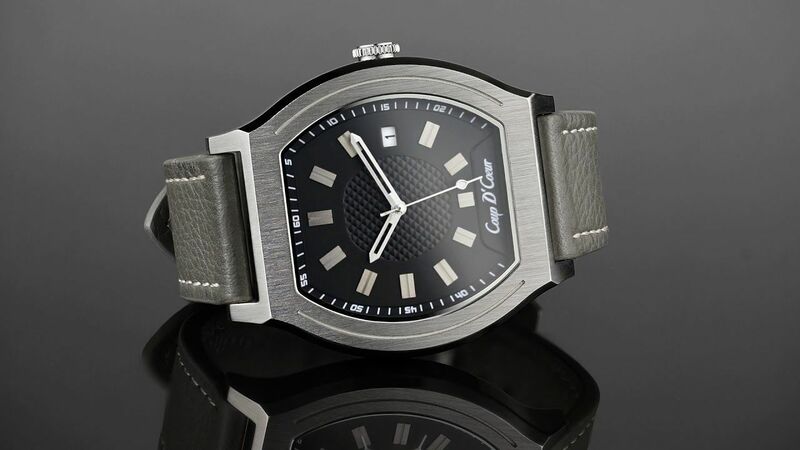 The build quality of their watches are top-notch too – alternating brushed/polished finishing, beveled edges, blued screws on the Swiss movement, etc. I actually did an introductory article for them when their Kickstarter campaign was live, which you can read here. If customization is something that you’re a fan of, check out Schaffen’s offerings! Where to buy: Pre-orders for the Reference 65 can be made on their web-store. Through my daily interactions with friends or with customers as a part-timer at Watch Wonderland, I realise that most Singaporeans aren’t aware of local watchmaking efforts, or believe that Aries Gold is actually the last watchmaker of Singapore. Hopefully, this article shows that homegrown watch brands not only exist, but are in fact thriving. As microbrands gain in popularity due to the perpetually rising prices of luxury timepieces, I’m confident that some, if not all of the above Singaporean brands will carve out a niche (if they haven’t already done so) and make a name for themselves. As aforementioned, I’ve met with most of the brand owners mentioned above – all of them are passionate about what they do, and their enthusiasm and passion is heartwarming. I wish them all the best, and hope that this website can play a small role in helping them soar to new heights. My first watch review was published exactly 4 months ago. Since then, I’ve been humbled by the support. As of this month, Wahsoshiok has broken 5000 monthly views – it’s still not a lot, but it’s a good start. As a way of giving back, I’ve partnered up with several brands to bring exclusive discounts to my readers. Unlike one-off promo codes, these are exclusive discounts that do not expire momentarily – think of them as special perks just for you guys, in the same vein that a SAFRA/Passion/Credit Card holder enjoys exclusive benefits. The full list of participating brands can be found here. Again, thank you for the support – without which, I wouldn’t have the strength to keep churning out content on a biweekly basis! If you enjoyed reading this article, do read another one here, where I rounded up my personal picks on affordable tailors in Singapore. A great watch needs to be paired with great garments! P.S Do check out the new “Discounts!” page for exclusive discounts for Wahsoshiok readers! More brands will be added very soon – stay tuned! P.S.S If you haven’t already, do follow my social media channels on Facebook here, and on Instagram here!